Local Craftsmanship Meets Global Market In PIFS 2016 « Global-Link MP Events International Inc. The Philippines International Furniture Show (PIFS) 2016 is set to be held on March 11 to 13 at the SMX Convention Center Manila. PIFS is a collaboration between the country’s three main furniture associations- the Cebu Furniture Industries Foundation Inc. (CFIF), the Chamber of Furniture Industries of the Philippines (CFIP), and the Pampanga Furniture Industries Foundation (PFIF). The Filipino creative spirit has a global reputation. History proves that the furniture from the Philippines has influenced trends globally in the design industry. “PIFS is the ultimate Filipino Collection. It is where we show the world, and our colleagues at home, how we interpret the latest industry trends, and in many cases, take the lead in design innovation,” remarked Christina Gaston, overall event chairman. Last year, PIFS recorded a total of 6,955 trade visitors, with a total of 515 foreign trade buyers representing 73 countries. The top foreign countries represented at last year’s show were, by rank: United States of America, Japan, China, Australia, Singapore, Germany, Saudi Arabia, Netherlands, Italy, and United Kingdom, which proves to be a showcase of the most sought out globally recognized brands. This year, the Philippines International Furniture Show widens networks by creating a perfect match-up where furniture meets design, with the Interior & Design Manila 2016. IDM 2016 will feature the Interior Design Plus with the top brands of fixtures, fittings & finishing materials; Interior Design Excellence Award Pavilion where 10 selected professional Interior Designers showcase never-before-seen concepts and ideas for the modern home; a two day Continuing Professional Development (CPD) Conference for PIID members; and lastly, a workshop on material application that will be held on the last day specifically designed for today’s interior designer. More than just an exhibit, PIFS features a Business to Business networking activity between exhibitors and target clients and a seminar/workshop on international forecast regarding the potentialities of furniture and furnishings to be held on March 13, 2016 by Director Avant-Guide Institute and Global Editor of Wikitrend.org, Daniel Levine who has spoken at over 300 events worldwide and has consulted with numerous companies and associations to help them understand consumer trends and develop profitable products and services. 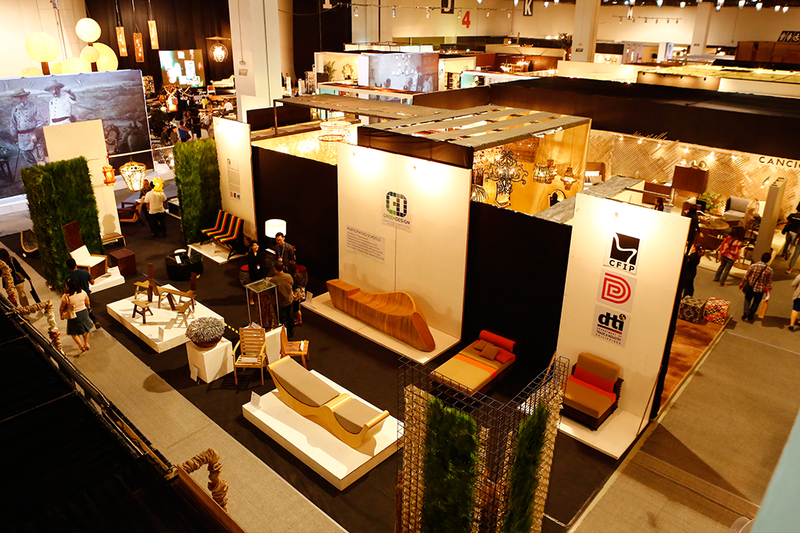 For the best in local craftsmanship and international quality, the PIFS will take place from 11 – 13 March 2015, at the SMX Convention Center, Manila. For more information, visit www.pifs.ph or email info@pifs.ph.